The IOC has annulled the results of another five Russian participants of the Sochi 2014 Olympics. The decision rests on the findings of the controversial McLaren report, based on the claims of the disgraced former Moscow anti-doping lab chief. Two Russian biathletes, Yana Romanova and Olga Vilukhina, both members of the Russian women’s silver relay team, have been stripped of their results in Sochi, the International Olympic Committee (IOC) announced Monday. In addition to the relay silver, Vilukhina also has lost the silver medal she claimed in the women’s sprint. Both Romanova and Vilukhina have already retired from competition, with Vilukhina announcing her decision to hang up her skis and rifle earlier this month. Aleksei Negodailo and Dmitrii Trunenkov, members of the gold-winning four-man bobsled team, have also been slapped with a ban, as well as Sergei Chudinov, who finished fifth in the men’s skeleton. All had their results annulled by the body. All the athletes have been “declared ineligible to be accredited in any capacity for all editions of the Games of the Olympiad and the Olympic Winter Games,” the IOC ruled. 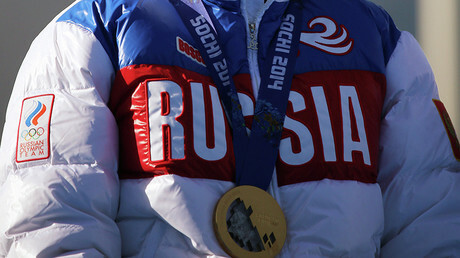 Besides adding new names to a rapidly expanding list of the Russian winter athletes banned from the forthcoming Olympic Games, the IOC also released its reasoning for the November 1 decision to prohibit renown Russian cross-country skier Alexander Legkov from competing in Olympics, and to strip him of the gold and silver medals he won in Sochi. The 46-page document, published in full on Monday, reveals that the ban was predominantly rooted in the purported evidence provided by Grigory Rodchenkov, the former head of the Moscow anti-doping laboratory, himself wanted in Russia for abuse of power. Having fled Russia, Rodchenkov became a WADA informant, whose claims became the sole basis of an investigative report compiled by Richard McLaren, which has led to bans for multiple Russian athletes. According to the IOC, the inclusion of Legkov’s name on the list of the so-called “Rodchenkov cocktail,” also referred to as “Duchess,” was alone enough to incriminate the 50km marathon winner in participating in an alleged state-run doping scheme. The report cites Rodchenkov as saying that he “specifically” recollected swapping Legkov’s urine sample in the wake of the skier’s triumphant 50km race. Another “element” said to support the findings is the “multiple T Marks” found on two of Legkov’s sample bottles. The skier himself denies all the allegations and is filing an appeal with the Court of Arbitration for Sport (CAS). Referring specifically to the claims he had been doped by taking the “cocktail,” Legkov said earlier he had passed 19 tests in Europe during that time. The verdict follows a string of similar decisions by the IOC regarding Russian athletes who competed in Sochi. Last week, four Russian skeleton athletes, including Sochi Olympic champion Aleksandr Tretyakov, were stripped of their medals and results and handed life bans preventing them from competing in the Olympics. After the IOC disqualified Russian bobsledder Aleksandr Zubkov, a winner of two gold medals in two- and four-man events at the Sochi Games, on Friday Russia slipped to second place in the overall medal count, an unofficial but prestigious rating. The Oswald Commission, set up in December 2016 in wake of the publication of the second part of McLaren Report into an alleged state-sponsored doping system in Russia to investigate the evidence against the athletes on case-by-case basis, will “shortly” complete the hearings against all athletes eligible to compete in the forthcoming Olympics in February, the IOC said. It is also reaffirmed that the final decision whether to allow Russian athletes to participate in the Games will be made in December during the next meeting of the IOC Executive Board.